Airline Transport Professionals (ATP) today accepted delivery of two factory-new, multi-engine Piper PA-44 Seminole aircraft. 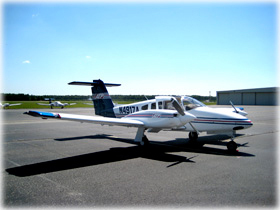 ATP ordered five New Piper Seminoles earlier this year and expects to receive the remaining three aircraft by August. Airline Career Pilot Program students fly the multi-engine Seminoles for 140 hours in a nationwide, airline-style training environment. With the addition of these aircraft, ATP's fleet now includes 134 flight training aircraft: 82 Multi-Engine Piper Seminoles, 46 Cessna 172s, 5 Diamond Stars, and 1 Cessna CitationJet.